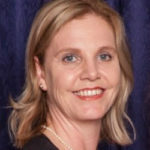 Lindie Jansen van Rensburg is a Occupational Health Practitioner with a B.Cur (General, Psychiatry, Community Nursing and Midwifery) from the University of Port Elizabeth (now Nelson Mandela University), Occupational Health qualification from the University of Stellenbosch and a Master’s degree from the University of The Witwatersrand. She has been involved in Occupational Health since 2003 and has been in private practice since 2006. Lindie also holds Certificates of Competence in Audiometry, Spirometry and Vision Screening. Lindie holds a SASOHN executive member position on the Occupational Health Forum in collaboration with the Department of Labour, the South African Society of Occupational Medicine and the South African Institute of Occupational Hygiene. Her special interests and passions include education and legislation in occupational health. Lindie is married and has two daughters, she is an avid reader, photographer and loves long walks along the beach.